Meal planning can be intimidating for beginning cooks. Take a few minutes to organize your recipes and read through this article to help you begin, and soon meal planning will be second nature. On January 12, 2005, the FDA released a New Food Pyramid, with some changes. The changes aren't significant, except for stressing exercise and increasing the number of fruits, vegetables, and whole grains that you should eat every day. Plan meals to meet your family's nutrition needs. The old way of planning meals was the Basic Four: Meats, Vegetables and Fruit, Grains, and Dairy. After many nutrition studies, the USDA has created an updated Food Pyramid that should be used as a guideline. This graphic is courtesy of the U.S. Department of Agriculture and the U.S. Department of Health and Human Services. The range helps the Pyramid fit into anyone's caloric needs. Today, meat is considered more of a condiment or flavoring and diets should be based more on grains, fruits and vegetables. That doesn't mean you can't have a steak or fish fillet for dinner! It just means that you should add more whole grain breads, pastas, vegetables, fruits, rice, and cereals, and reduce the amount of meat served. To begin, here are three keywords you should remember every time you plan a meal: color, temperature and texture. The meals you plan should be full of color, the recipes should vary in temperature, and include textures from smooth to crunchy. First, go through your recipe box, files, cookbooks and other favorite sources and choose 10-20 recipes that you know you can make and that your family likes. Then consider texture, temperature, and color when visualizing your full dinner plate. Color is probably the most important consideration to think about in meal planning. Nutritionists advise making your plate look like a painter's palette. The more different colors on your plate, the more varied and healthy your diet will be. Temperature and texture should be varied to add interest and make the meal more pleasing to the palate. Choose some cold foods, some served at room temperature, and some hot. Crisp, crunchy, smooth, chunky, and tender are all textures you should think about. Here's a recipe I like to serve often. Let's plan a meal around it! Remember, your meals should be colorful, and include a variety of textures and temperatures. Combine mango, orange, pear, pineapple, 2 Tbsp. apple jelly, jalapeno and cilantro. Mix well and set aside. Combine honey, 2 Tbsp. apple jelly and lemon juice. Microwave on high until melted, 10-20 seconds and stir well. Brush half of glaze on chicken. Broil or grill chicken 4-6" from heat for 6 minutes. Turn chicken and brush with remaining glaze. Broil or grill 4-6 minutes longer or until chicken is tender, thoroughly cooked, and juices run clear when pricked with knife. Spoon salsa over chicken to serve. 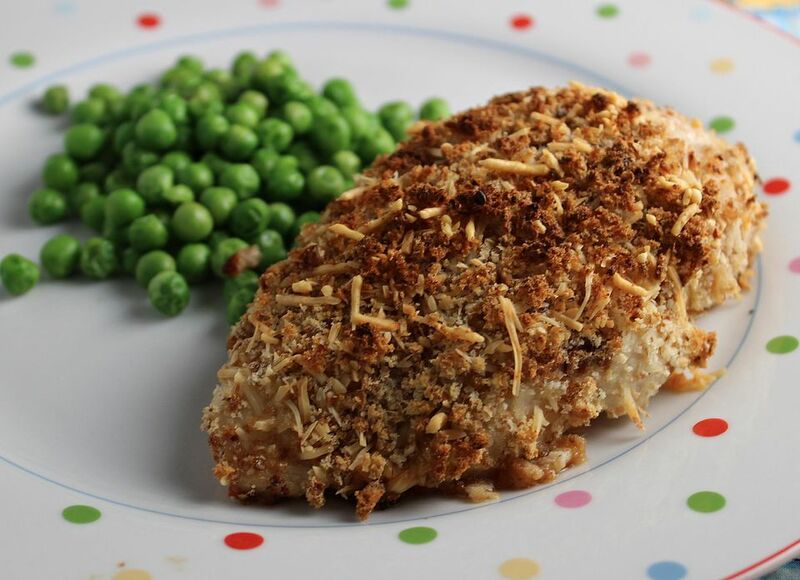 This recipe already helps meet your daily nutritional needs because there are lots of fruits in proportion to the chicken. To balance this meal, go back to our key words and think about temperature, texture, and color. I would add a fresh green lettuce salad (cool temperature, crunchy texture, additional different color), some whole grain rolls (crunchy texture, room temperature), and sparkling water or milk. As long as you make your dinner plate colorful you can generally be assured that you are eating enough fruits and vegetables and your meals are balanced. Vary texture by adding chewy breads, crunchy grains, and smooth, tender pasta and rice to help add the essential servings of grains. And vary temperatures to help stimulate appetite and make your meals more interesting. When choosing recipes for your everyday meals, pay attention to nutrients listed as percentage of Daily Values. The Daily Values are set by the USDA to meet the nutritional requirements of the average American. These Values are set for protein, fat, vitamins, minerals, sodium and fiber. Here are a few more things to consider when planning meals. Check what is on sale in your grocery store and plan meals around those items. You can also stock up on good buys and freeze them, well wrapped with the date marked, to help you plan future meals. The foods you store are those you know your family likes. Find new recipes that use these ingredients and you will be able to gradually introduce different foods and flavors and expand their tastes. If your family loves meat and potatoes, find ways to get more fruits and vegetables into their diet. Serve a smaller portion of meat and make up the difference with a big salad, toasted rolls, or rice pilaf. Begin with a favorite recipe, serve smaller portions of it, and add other nutritious foods to fill the dinner plate. Not only is seasonal produce a better buy, but fruits and vegetables taste better when in season. Local produce may also retain more nutrients because they aren't shipped over long distances. Patronize farmer's markets and produce stands when possible for great value, taste, and nutrition. Have fun with meal planning! Have breakfast for dinner, get your children involved, let other family members have turns planning meals, and even make a game out of planning a meal just with what's on hand. Don't be too concerned with perfectly balancing each day's nutrients. Try instead to balance nutrients, calories, and fat intake over several days. The more color on your plate, the better balanced your meal. Plus a colorful plate is a treat for the eyes! Hot foods, cold foods, and room temperature foods not only ensure that you are serving a variety of foods, but also make a more interesting meal. No one likes a meal made of all soft foods or all crunchy ones. Thinking about different texture also automatically helps you include different kinds of foods according to the Food Pyramid. Here's the most important meal planning tip of all: eat a variety of foods. For instance, don't plan meals with chicken four days in a row. The USDA calculates safe limits on pesticide and herbicide residue consumption based on a certain consumption level of foods. Eat a wide variety of fruits, vegetables, grains, meats, and dairy products to help reduce your risk of exposure to chemicals, and to ensure the most balanced diet. Scientists are discovering new chemicals and nutrients in foods every day that are necessary to good health. Eating a good variety of whole foods is the best way to have a healthy diet and a long life. The more meal planning you do, the easier it will be. Have fun with the process, get your children involved, and enjoy watching how your eating habits change and improve with the seasons!